Obindo: Become a more responsive organization. "Hey Obindo, who can help me with this?" 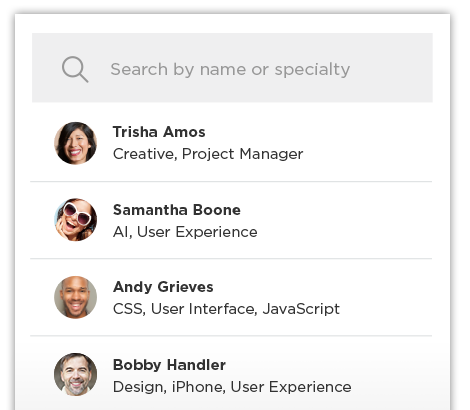 Obindo makes sure everyone in your organization can find just the person they need. "Imagine having an assistant turn the information you already work with into that company knowledge base you always wanted." What if each person in your organization could easily stay in-sync with his or her co-workers? Obindo’s knowledge discovery dashboard provides a way for everyone to quickly see what’s going on, who’s involved, and what’s most important. Untangle messy email threads and turn them into something way more valuable. Email threads so often become overwhelming, yet they contain information that can be critical to your organization. 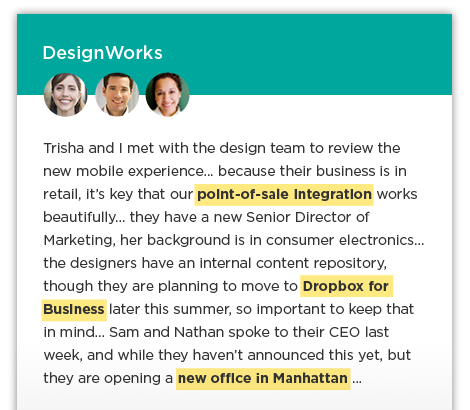 Obindo’s message capture technology extracts the structure out of those unstructured messages and converts that into a social knowledge graph that everyone in the organization can use to find what they need, when they need it. Surface and highlight key ideas. Wouldn't it be great if everyone in your organization — from sales to service, marketing to product development — could quickly bring up a summary on any topic? Obindo's intelligent language-processing technology extracts the most important concepts and ideas from your team’s conversations, organizes them, and then surfaces that information with context. Find the person you really need. Who can help me with this project? In growing and geographically distributed organizations, knowing who to connect with is often just as important as knowing what the project is about. 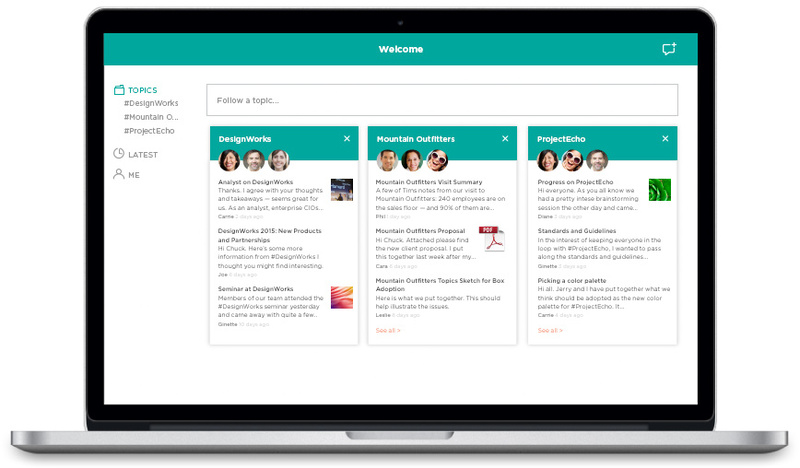 Obindo’s automatic expertise-identification system dynamically builds your organization’s “real” org chart — based not on titles but knowledge. Give your reply-all an upgrade. Did you know that the average employee spends over 11 hours of each week wading through their email? 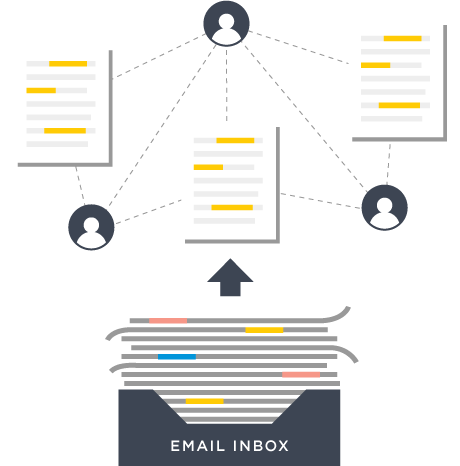 Obindo helps your company reduce email volume by providing a way for your employees to share ideas and information to your company’s knowledge base rather than sending out a reply-all — from Outlook, Gmail, or any email client. Help your newest team-members get up to speed quickly. When new employees join your organization, how long does it take them to understand the projects they are working on? 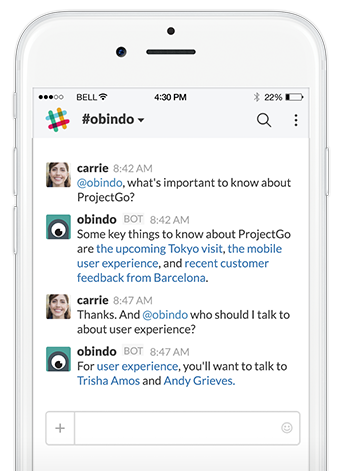 Because Obindo integrates seamlessly into tools like Slack, Skype, Yammer, and even Microsoft Teams, they can get the answers they need without leaving the tools they already love. Surface information from all your apps. 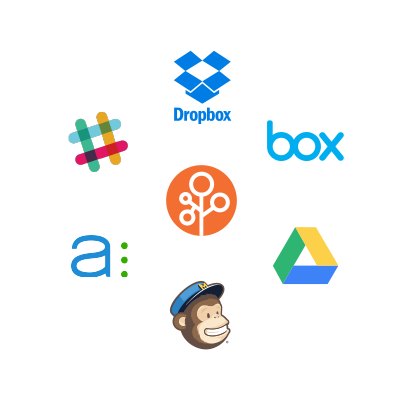 Do you keep your product designs in Dropbox, manage your tasks in Asana, and store your customer proposals in Box? The underlying Obindo platform connects to over a dozen services — and the list is growing every day. Interested in learning more? Drop us a line!